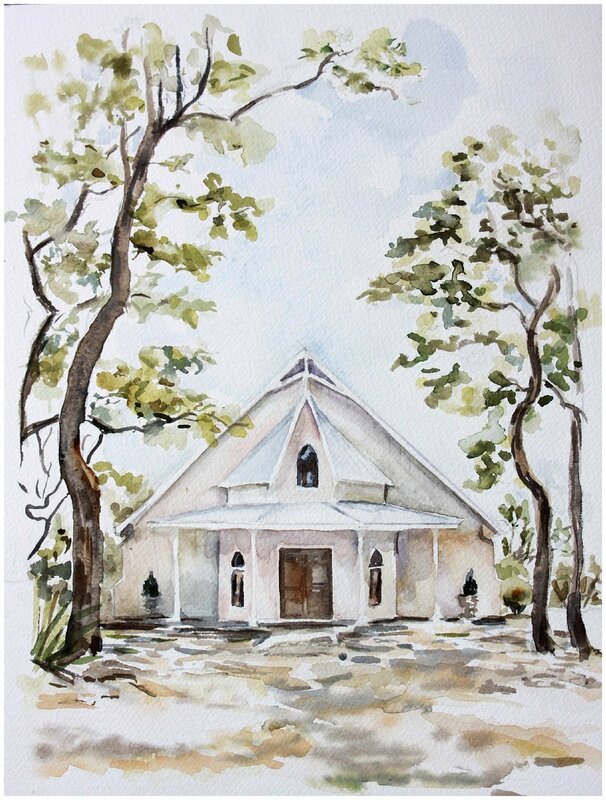 Michelle Arnold Paine is a passionate trained oil and watercolor artist who has a unique gift in preserving memorable locations of your wedding day. She holds an MFA in Painting from the University of New Hampshire, studied at the School of the Museum of Fine Arts Boston and has also taught courses in various art schools and universities around the country. Michelle is also a mom to two beautiful girls, fellow Spoken Bride vendor (and Catholic convert), Catholic Creative and a graduate/former program assistant of the Gordon-In-Orvieto Semester. You can connect with Michelle on Instagram, Facebook and through her Website. Michelle and I (unofficially) met a couple of times in our beloved Orvieto, Italy and reconnected again through social media. I'm looking forward to (re)uniting with Michelle again at some point in the near future and SO appreciate her taking time out of her busy schedule to do this interview. I'm excited to partner with her and offer our #LaurentinaPhoto newlyweds (and their family members) the option of purchasing authentic wedding venue paintings that will be preserved for years to come! 1.) Tell us about yourself! How did you get to this point in your artistic journey and what services can you provide Laurentina Photography couples? I have loved drawing and painting from the time I could hold a crayon - creating stacks of drawings on the back of my dad's computer paper. My mom says I even sold my drawings door to door once as a kid! I went to Italy to study Art History but continued to take studio classes, eventually realizing that I wanted to be making the pictures in the book not studying them! 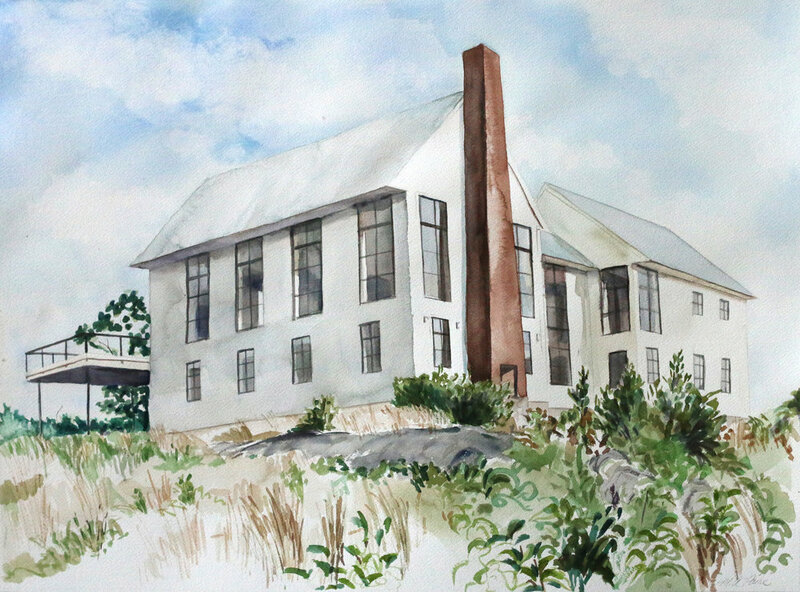 After finishing college I studied at the School of the Museum of Fine Arts Boston and then completed an MFA in Painting at University of New Hampshire. I am passionate about how images can tell stories that connect to our deepest human experiences of longing, love, suffering and redemption. The experiences of beautiful art and sacred spaces in Europe opened my heart to beauty and I want to help others experience the beautiful moments. 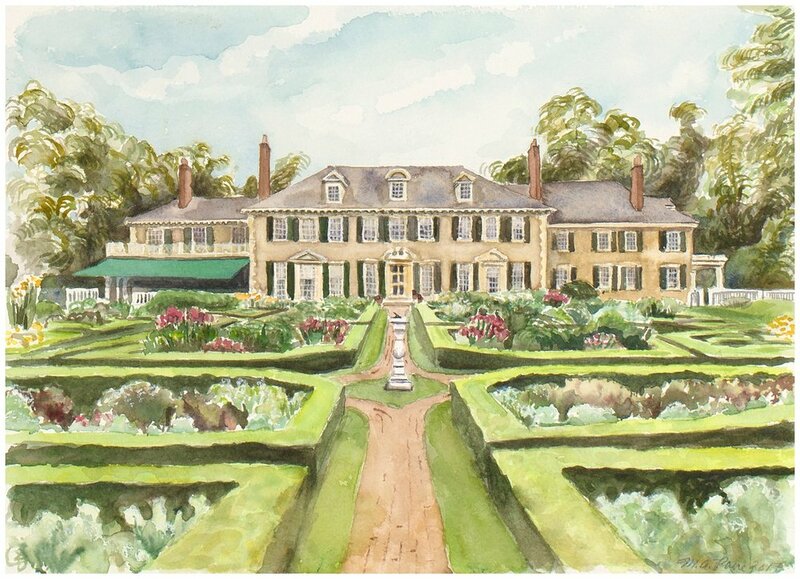 I create paintings and drawings in watercolor or oil which capture the beauty of the wedding venue. Couples work so hard to find that perfect place to join their lives together: I enable them to take it home. I love finding out about people’s lives from the process of creating a painting for them. Through working with clients I am able to rejoice with them at the milestones in their lives. From the client’s perspective, developing a relationship with a professional artist is a joy and discovery that can also become a life-long friendship. Through working one-on-one with collectors doing commissions I am able to bring my knowledge and appreciation of sacred moments into the lives of others. 2.) You are described as a "contemporary painter who's faith plays an integral role in your work." and your work was inspired by the Renaissance masters, as well as the beauty of life in Italy. Can you tell us how this plays into the style and feel of your work? The imagery and subject matter in my gallery paintings are drawn from religious subjects and the built spaces of Europe. The way I handle paint and composition is informed by my place in history – an artist with access to modern paint technologies. I try to create an appreciation for tradition with a fresh, contemporary feel. I specialize in creating portraits of the places which make up the important memories of life. Whether the architecture of churches or another special venue these are the places in which we hold our memories. I believe our built environment and the spaces in which we live shape our experiences and our lives. It is a joy to capture those experiences in paint and create an heirloom. 4.) Have you done any live painting and if not, is this something you would consider? I have done live painting at events. Although not formal “event” painting, landscape painting is always “live painting” in that the painter is under pressure to complete the painting before the light of the environment changes. 5.) Why should couples consider investing in custom wedding art for their big day? The flowers, music and food only last for a few hours, but a work of art endures beyond the wedding day for generations, commemorating the beginning of a new family. There is always something special about something hand-made, hand-painted, hand-drawn. An artist interprets the space in a unique way. 6.) How do you balance motherhood and raising a family with your career? 7.) And just for fun: if you could spend a day working with any person, who would it be and why? I’m such an introvert – I love working alone, especially in this season of parenting young children! I would like to work with the 15th century painter Fra Angelico for a day. How did he integrate the business of his art into his life as a monk? What was his process for creating the subjects of his paintings? © 2018 by Michelle Arnold Paine. All images were generously released for use on the Laurentina Photography blog and used by permission only.